Partnering up with initiatives, services providers, BIM specialists and application developers is great. Why? Because we truly believe together we can improve the construction industry and make a difference. As a true master in MEP, Witas offers BIM software & services to companies involved with technical installations. As a MEP design office by origin with a vast track record of BIM experience, Witas is the perfect partner to guide its users through BIM with an efficient product & workflow. 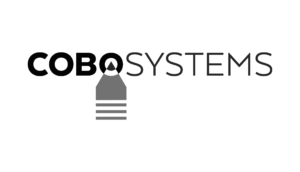 Every year, Cobosystems supervises dozens of manufacturers with the development and distribution of specification texts and technical sheets. Cloudalize empowers its customers with GPU power on demand so they can run GPU-accelerated applications on any device. Cloudalize’s platform enables companies from the AEC industry to collaborate remotely, securely and efficiently and software vendors to distribute 3D models instantly. BIM Production delivers BIM content creation services & marketing tools to manufacturers in the construction industry. With reliable technology, as well as our know-how, we forge lasting relations between manufacturers and designers, helping our clients to grow their business. ROCKIT3D is a web-based tool to help every designer model, visualise & render high quality 3D visuals. ThorbiQ and Rockit3D are partnering to deliver a more comprehensive digital service to Manufacturers and their Users. Rockit3D’s core technology of Physically based textures, AI and 3D model-efficiency complements the services ThorbiQ provides. ProcessByte is cloud-based project management software to automate projects in detail for everyone involved. This from the first idea through the entire process to the after-sales service. ThorbiQ, Witas and Processbyte are partnering to provide you a light-weight project management application to manage your projects more efficiently. This applies even more so for BIM-projects where the aligned vision on collaboration leverages this. Bimplan is an architectural consulting firm that specialises in providing services and strategic advice around the use of BIM for all companies in the construction business. Bimplan supports companies with project modeling work, BIM coordination, BIM consultancy and BIM management. Bim Academy is your experienced training partner for all BIM trainings. Our formations are based on actual BIM project experience and are taught by actual BIM managers, consultants, project managers en modelers. Visit our website for our calendar! With it’s extensive experience in MEP installations & offering a great service to technical design offices, Witas is a perfect partner for ThorbiQ. BimProduction delivers BIM content creation services & marketing tools to manufacturers in the construction industry. With reliable technology, as well as our know-how, we forge lasting relations between manufacturers and designers, helping our clients to grow their business. Atelier256 provides services for various IT implementations, including Front End and Back End programming, System Administration, Hosting, Monitoring, and more. We cover the full technical scope for modern day projects. Your technical partner in an ever changing digital landscape. There is no benefit in having bad online experiences. At Partners for Design we want the best experience for everyone. We believe this is achieved by optimizing every aspect using a holistic approach, facts and figures, spiced up with an infinite amount of creativity. We strive for delivering products that are pure, real craftsmanship and a joy to use. We want our successes to be measurable to take on to the next optimization. Creating, sharing and reading manuals and work instructions should be fun, fast and easy. Now it is. Manuals are an essential part of product documentation. For the construction industry, it is essential they’re kept up to date, easy to understand, available in any language and accessible on any device, anytime. Manual.to and ThorbiQ make it work. Hysopt engineering design and simulation software optimises large heating and cooling retro-fitted or new installations. It delivers a digital dynamic twin of your P&ID, checks the system and optimizes the performance leading to improved efficiency. ThorbiQ, Witas and Hysopt are partnering to provide you the ultimate experience in BIM for both modelling and calculation. The calculation platform of Hysopt allows for generic and specific product selection. BIM will bring this to the next level. Techbim is a BIM standardisation initiative by the federation Techlink and creates the fundamentals for building actors to further invest in digital collaboration . A ‘common generic parametric objects library’ will be available that can streamline and strengthen the digital collaboration between the different actors throughout the building lifecycle. ThorbiQ is a proud supporter and enabler of this initiative. Thanks to our co-operation, specifications and other product data can be included in a structured manner in an adequate BIM service to building actors (architects, engineering firms, etc.). Cloudalize and ThorbiQ share a common vision: enabling digital construction by lowering the threshold using technology. 1+1=3; joining forces equals combining two complementary solutions into a great digital environment, making digital construction so easy & fun. Atelier256 has been working side by side with ThorbiQ on some of the core IT elements of the ThorbiQ Platform. Dynamically collaborating to get the best product out there is our joint objective. The partnership is flourishing, and promises a bright future together. BIM Production combines excellent skills in BIM, architecture & MEP and knows exactly how users think and what they need. Working together for many years, BIM Production is a great partner to be able to offer powerful, consitent BIM content & services to BIM users. The belief we have in the vision of ThorbiQ made us want to be a part of this revolution from day one. By supporting ThorbiQ with our expertise in user experience, usability, effective design, front- and back-end development, we help them reach their goals and constructing a promising new foundation for the next building industry. You ain’t seen nothing yet. Knowing Revit & MEP by heart, Witas has a great DNA. Our solutions brought together brings much joy to MEP designers and contractors, bridging the gap between generic design and specific products. A first MVP is already available on https://witas.thorbiq.io/ – check it out! Bimplan and ThorbiQ share a common vision: sharing is the new multiplying. Collaboration, communities and open-source are the new way of working. Bimplan and ThorbiQ combine their know how to accelerate BIM adoption in the world. Do you feel the connection? Are you a service provider, application developer or do you simply think there’s a possible match? We’d love to hear about it. Let’s bundle our forces and work together.